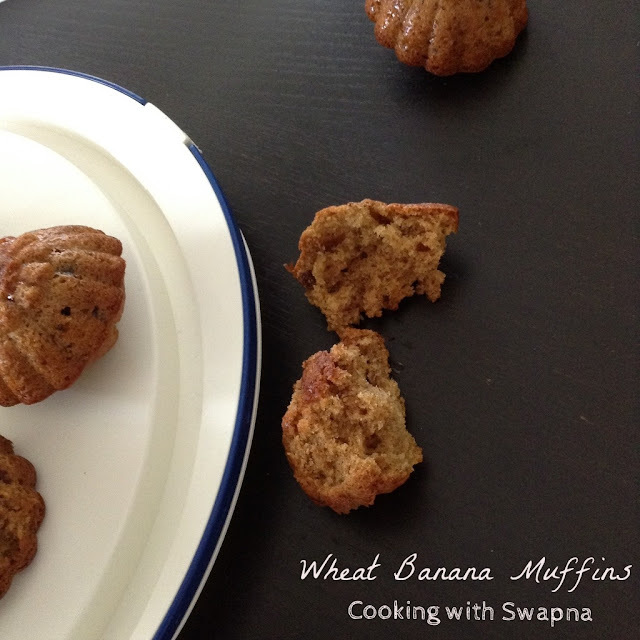 Cooking With Swapna: Whole Wheat Banana Muffins !!! 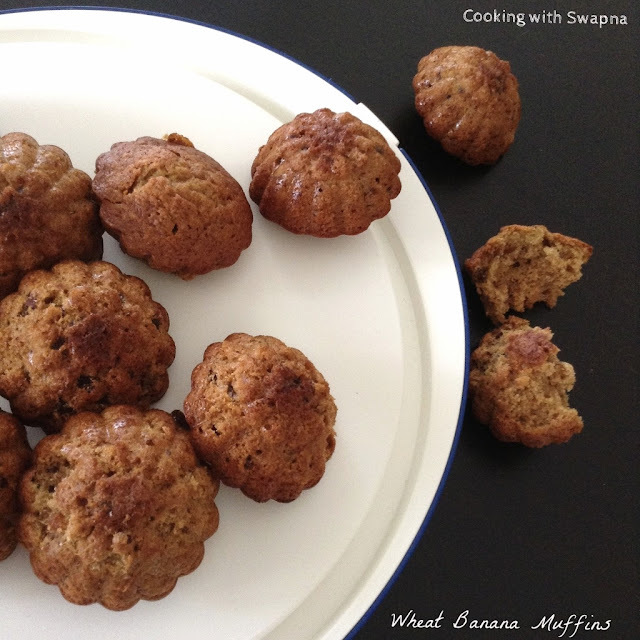 Quick, easy, reliably moist batch of whole wheat banana muffins. 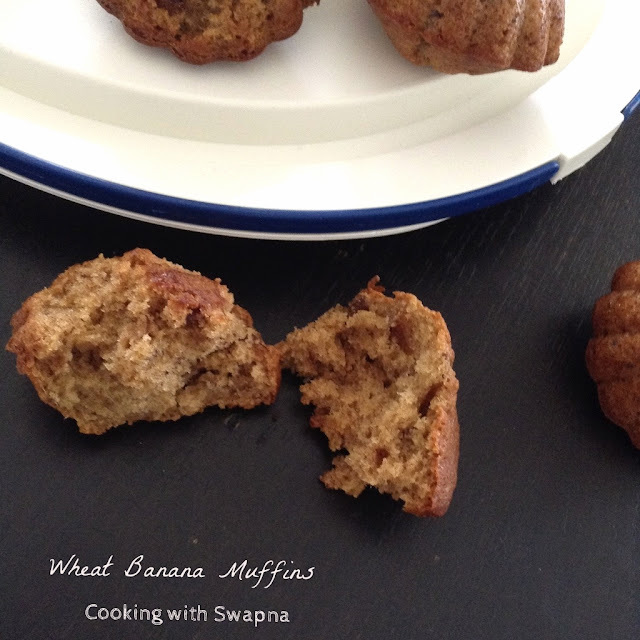 Whole wheat isn't just a health statement here; the taste of the whole grain makes a nutty, pleasant flavour. 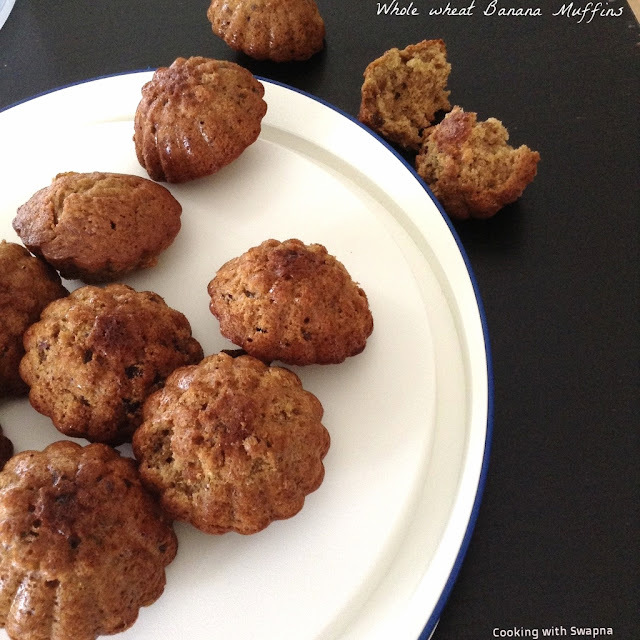 The fact is whole wheat flour is lower in gluten than regular all-purpose flour also means a more tender muffin. 1. 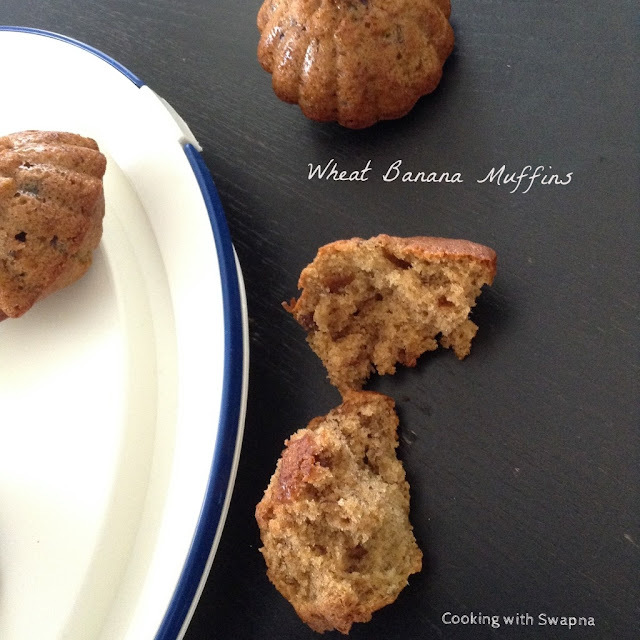 Preheat the oven at 180 C. Grease the muffin pan or line up the muffin cups with paper liners. 2. Sieve together flour, baking powder, baking soda, salt and ground cinnamon. Keep aside. 3. In a large bowl, mix together the mashed bananas, eggs, maple syrup, brown sugar, milk, oil and vanilla extract. 4. Fold the wet ingredients into dry ingredients until combined. The batter will be thick and chunky. 5. Fold in the chopped walnuts or almonds. 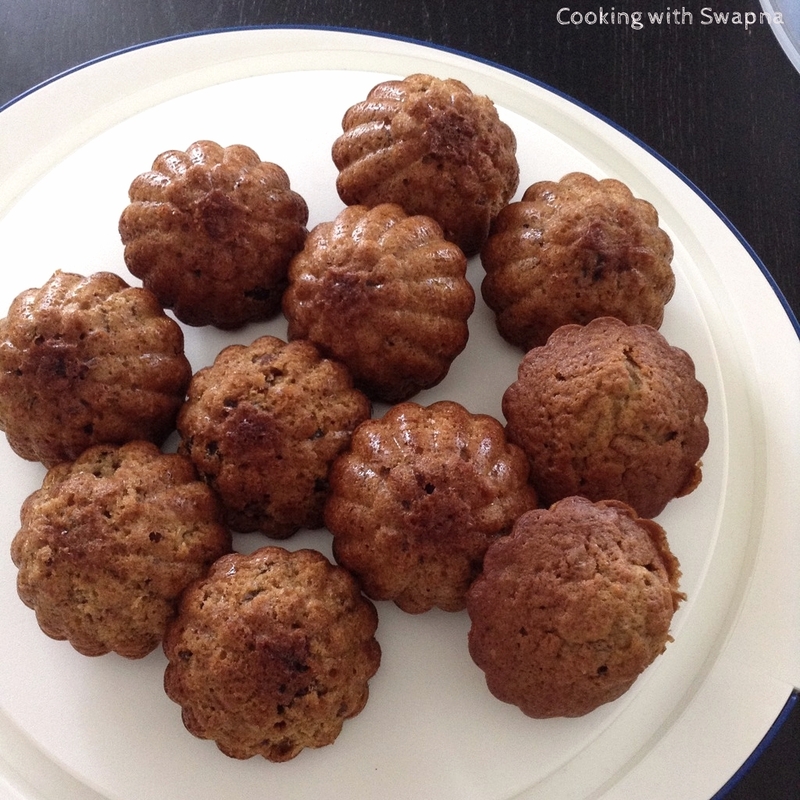 Spoon the batter into the prepared muffin tins and bake it for 25 mins or until a toothpick inserted in the middle comes out clean. Cool them on a wire rack.